The Lambeth Collaborative has been working innovatively to reshape mental health services in the borough for the past few years. 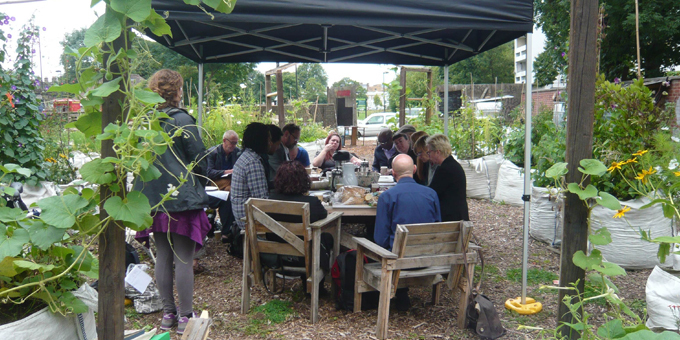 As part of this vision it meets monthly for breakfast and recently members were on Loughborough Farm sampling the fruits of the farm’s labour and hearing from volunteer Zeenat how the farm has helped her well being. 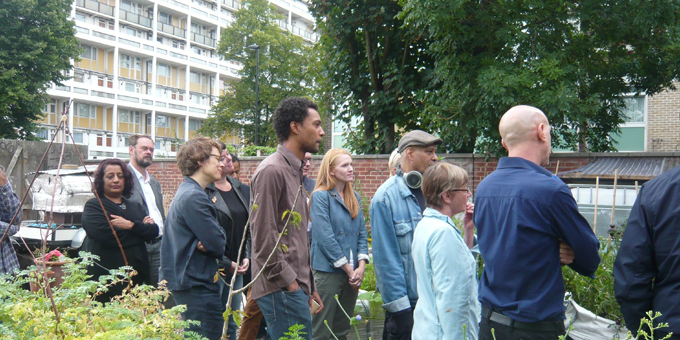 “It’s great to see enthusiastic people taking a derelict patch of land and making it into something that gives back not just good food and a better environment , but a place where people can meet their neighbours and work together,” said the Collaborative’s Bill Tidnam, Director of Housing And Community Support at Thames Reach.